It does not happen often in the western world, but food disaster preparedness is something that we should all practice to make things easier in the event of a disaster. Since it does not take much for a food crop to be spoiled, we could find ourselves without any way of putting food on the table. Every year many parts of the world are devastated by these natural phenomena, and once the immediate disaster is over the population has to try to get back on its feet. This can be difficult when the local infrastructure is in ruins and it can be months before the repairs are in place and normal services resume. In the event of a natural disaster, it will become difficult to cultivate crops even if they survive the impact of the disaster. Regardless if the crops are grown and harvested by hand, it still will be difficult to get them to market or to find somewhere to store the produce if buildings have sustained any damage. Another possibility is a crop failure due to a disease or pest. The chances of a repeat of the Irish potato famine in the western world is remote these days, but every few years some new disease is found that damages or kills trees and it is only a matter of time before something affects a food crop. Taking steps toward food disaster preparedness is a proactive strategy for minimizing the damage from such a calamity. Nobody can predict when a disaster will occur; otherwise, we might be able to rescue the inhabitants and prevent any loss of life. However, governments and individuals can take steps to minimize the effects. One of the first things to do is build a stockpile of non-perishable foods and liquids. For a family this might be enough bottled and canned food to last a few weeks and a portable stove to cook it on. 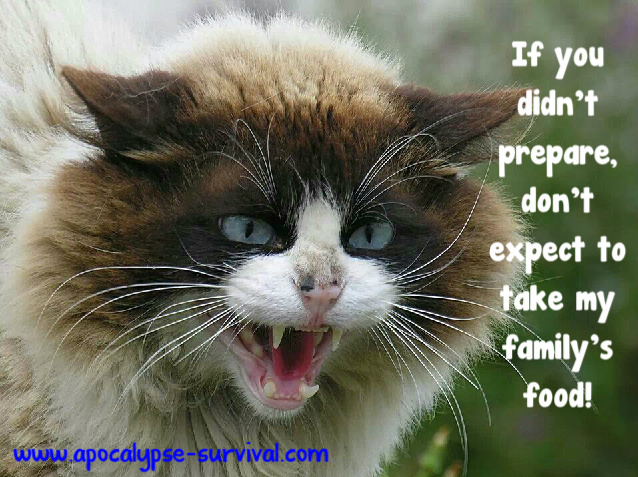 If you take food disaster preparedness seriously, you might consider having two stocks of food in close but separate buildings. This should safeguard in the unlikely event of one building collapsing. Governments and charities often do this on a large scale in the event of a disaster. Usually this would be warehouses of grain or other similar materials that people can use as the base ingredient for a diet that can sustain life. In some cases, the aid agencies can fly in supplies until the immediate problem is over. Another way of food disaster preparedness is to grow some of your own food. In good times, this can supplement your diet with some healthy fruit or vegetables, and if needed can feed your family for a few days or even longer. 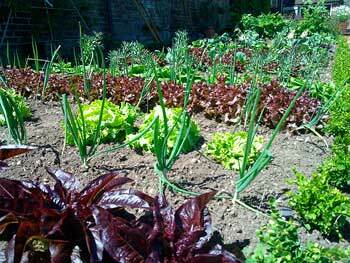 This depends on the room you have available for growing, but it will also help to reduce your food bill. If you have the space, keeping some livestock can certainly help too. Keeping chickens can give you all the taste and goodness of fresh eggs for breakfast every day. If you are desperate you can kill one and that will feed you for a few days. Goats do not take up much space and can give you milk too. The rapidly growing population is putting a strain on the natural resources of the planet. It is difficult enough to feed everybody, but disasters can occur at any time, creating greater challenges for providing food to everybody. Practicing food disaster preparedness can help to keep you and your family alive if the worst happens and food becomes scarce.